With the launch of Pixel phones this week, Google has officially moved on from Nexus, their once developer focused hardware platform that showed the best of Android. Google has confirmed that they have no future plans for Nexus devices, but where does that leave developers and the Android faithful, some of whom can’t afford that premium device? With Pixel, Google wants to pursue the premium market. That’s aspirational, that’s great if you have the budget. But not everyone does. Successful developers have probably already pre-ordered a Pixel..or two. But what about developers who are working on perhaps the next big thing in their spare time but can’t afford a $1,000 phone? That’s shutting out a class of developer that Google used to embrace. What about Android tinkerers? Again, successful Android developers can very likely afford a Pixel, but what about the 15-year old at home who wants to pull the phone down to its software roots and see what makes it tick? Build a new ROM that’s adopted by Android fans? Major Android OEMs produce a so-called ‘Flagship’ on a yearly basis, but it’s often the low-end phones they sell in huge volume around the world, bolstering their bottom lines. Samsung has thousands of Galaxy handsets, HTC has Desire and Sony, Lenovo and Moto have their lower end handsets to offer a device at every end of the market. Even Google’s main competitor in the smartphone world, Apple, keep their older phones around after they launch a new one as a ‘cheaper’ alternative for consumers. Even if these older iPhones don’t have feature parity, their earlier models do offer API parity. Something Google could copy if they want to. You see, Google already has a well priced, ‘stock Android’ series of device that has a guaranteed update window: Android One. Android One was announced by Google at Google I/O in 2014 as a budget phone option for emerging markets. The phones are powered by Google, based on hardware that’s limited to a set of specs that allows manufacturers to bundle together a phone on a budget. The phones were intended for emerging markets – and Japan aside, that’s exactly where Google has been launching them. Google has so far launched Android One handsets with partners in Africa, India, south-east Asia and the middle east. But does Android One just have to be about emerging markets? Android One phones have consistently been in the news as getting updates to the latest version of Android. Android One phones received Marshmallow ahead of almost any other device on the market and if everything continues along this line, they should receive Nougat as well. As a phone, Android One is basic, but with very little bloat ware, a stock Android OS load that is updated relatively quickly, and running on standard, but decent hardware at a great price (they sell between $100-$200AUD), the platform is in prime to step up into the hole that the death of the Nexus line has left gaping open. For me, Android One is the answer. I purchased an Android One handset from Micromax when they launched in India. The handset, even today is surprisingly good. It’s reasonably fast, the camera is Ok-ish, but these are things that could be improved if Google wanted to push it – We’re talking a $130AUD handset here. Android One handsets also include a couple of ‘features’ that Android Fans have been screaming for for some time: Removable batteries and microSD card support. Updating a $130 handset to something more mid-range and interesting to developers and enthusiasts is doable. Add a few hundred dollars more to the price where the so-called budget Nexus devices like the Nexus 4 and 5 were priced and you can do a lot with the hardware. While Android One isn’t high end, for a few hundred dollars extra you get a higher resolution screen, faster SoC, more RAM and storage, a higher end camera sensor and Google could have Nexus fans back on-side. What’s left? On the software side, factory images and binaries for one. But even Google has been shying away from releasing full binaries for the latest Nexus, so just a factory image would do in a pinch, but for arguments sake get those binaries up as well. The only down-side is hardware distribution. Google has traditionally relied on the distribution channels of Nexus partners – LG, HTC, Samsung and Motorola – to get their phones into the market, as well as provide warranty services if required. To date the majority of Android One manufacturers haven’t had the market share outside their own countries to show they could possibly provide this kind of scale. But one of Google’s larger OEM partners could. Samsung have knocked out thousands of low-end phones every year and even HTC continues to do so with their Desire range and Sony, LG and even Lenovo with either their Vibe brand, or using Moto could do it. Surely a partnership could be developed at this end of the market? Or – there’s even an Android One handset that’s 80% of the way there, announced in July the Sharp 507SH is an Android One handset with a 5″ 720P resolution IGZO LCD display, 13.1MP camera, an octa-core Snapdragon 617, 2GB of RAM, 16GB of internal storage (with microSD Card slot) and is powered by a 3010mAh battery. Sharp could even do it. A healthy and happy Android developer and enthusiast market is what built Android over the last 8 years, building it into the behemoth with 80% global market share that it is today. Google should shoot for the stars with a premium end handset with exclusive features that rivals anything from top tier manufacturers, but they shouldn’t also forget everyone else. Android One is where an easy answer to balancing out Google’s premium aspirations – the program is there already, and with a few relatively easy modifications Android One could be the new Nexus. Yeah I immediately thought of Android One as soon as Pixel pricing rumours came out. I think it could be a good move from Google if they do this. Many people will be happy. It’s going to be a bit different than Apple’s strategy but Android is already living quite differenly than iOS. It’s got a lot more diverse users. Hmmm I can sort of understand this position but look at Apple. They focus exclusively on the high end of the market which is what has helped them curate their premium, exclusive reputation. If you want to emulate this you have to go all the way. Google is copying the model. It’s the same model we see from brands like Mercedes, Gucci, Ray Ban, etc. Premium brands don’t have “affordable” options because it only dilutes their prestige. But again, I feel for the people burned by this situation. It’s unfortunate. This is a fairly good call – the explosion in popularity of the premiums German brands on our road here is due to this strategy. How many A-Classes, A3s and 1-Series do you see on the road these days? They use it (a) to sell more cars and (b) to get younger buyers in at the ground floor who might be able to afford that E-Class or SQ5 in a few years. Sure that’s all fair comment. Mercedes, it seems, isn’t the best example. But as you say, it does underline my point about curating a premium brand. If you want to establish yourself as a maker of premium products, making affordable so-so products won’t be part of your strategy. There are examples of companies that make premium and affordable products (Samsung immediately comes to mind) but it’s not really the way the high end game is typically played. Thank you!!! I have been saying this ever since the Nexus 6 came out back in 2014!!! The new Nexus could be called Android Two and have 1920×1080, microSD and NFC. And still keep the Android One. Instead of changing manufacturers yearly the Android Two could be made by one company to provide continuity. Given my experience with the 5X LG would do me, but Huawei could fill the bill. But the point of the Android One effort is to have cheap phones with similar specs. Increasing the price here will make it unaffordable for those in other countries. For example, we pay $3+ for a 390ml coke whereas in Indonesia they pay the equivalent of 40c. If coke charged what they charge here, it would be out of the reach of most. Same with Android One. 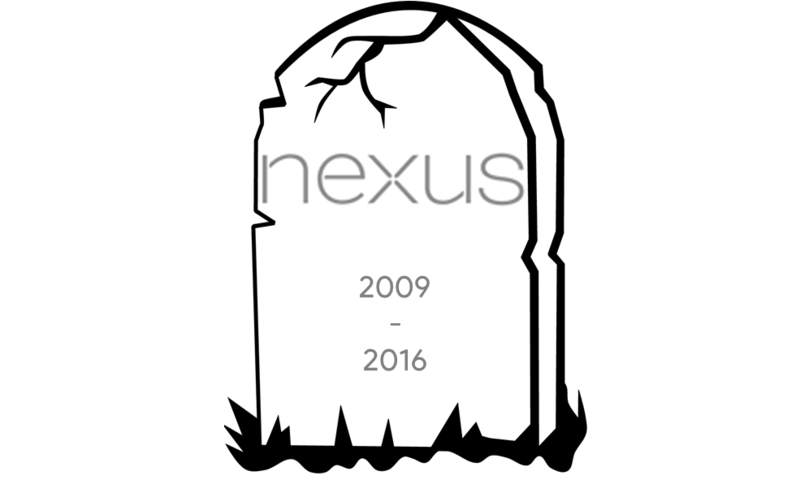 Google really shouldn’t have killed the Nexus phone line and should have had Nexus as a midrange. Pixel as high range. And introduced Android One as a cheap end. There’s multiple levels of Android One – it can be adapted. That’s the point. There already have huge this kind of low cost photos in the market and Google doesn’t have to compete with them. If you want to buy low cost phone, Huawei, Xiaomi, oneplus you can choose. A big reason for wanting this is that (until the new Pixel) the Nexus phones have been ‘clean’ Android without extra crap that other OEMs added. Which part of “Stock Android” you didn’t understand? Google and Spotify offering free Google Home Mini to Spotify family accounts · 8 mins ago.